Learn more about the Port of Belledune's Modular Fabrication Facilities. Easy Access to International waters. 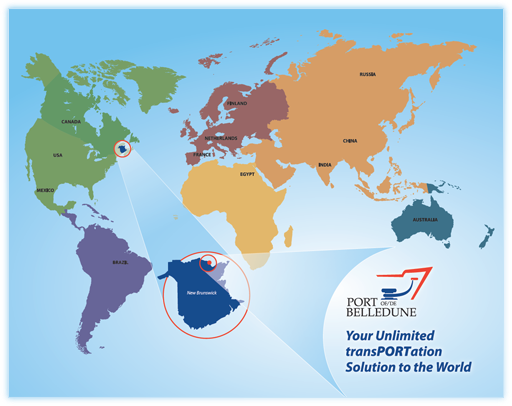 Learn more about the Port of Belledune's location and easy access to internation shipping routes. Strategically Located on Arctic Shipping Gateway.